hide an seek with Nicky, oh and am I in trouble if we call in and Nicky isn't there! I am so spoiled for choice as Nicky stocks the full range of Cottage Garden Threads. Of course I have signed up with Nicky so I just have to share it with you. If your interested in joining in feel free to email, phone or call in and see Nicky. Threads can be posted if your not local. Also, do you remember this? How lucky am I that she is a Certified Instructior / Shop for the Quiltworx Patterns. So what version/colour combo do you think I should go for? I am drawn to the Rainbow ones but these two orange version are speaking very loudly to me. Class doesn't start until term one so guess I should print off a few pattern sheets and grab out the pencils and have a play :o) You could always come and play along for this one too if your in the area. So how does your LQS inspire you? Please note that is not a sponsored post. I love the top right rainbow one. I think we should really test you....third or fourth down on the left. Lucky you to have such a great local shop. Love the blue/brown colourway on the one second row right, but also the rainbow one third row left. 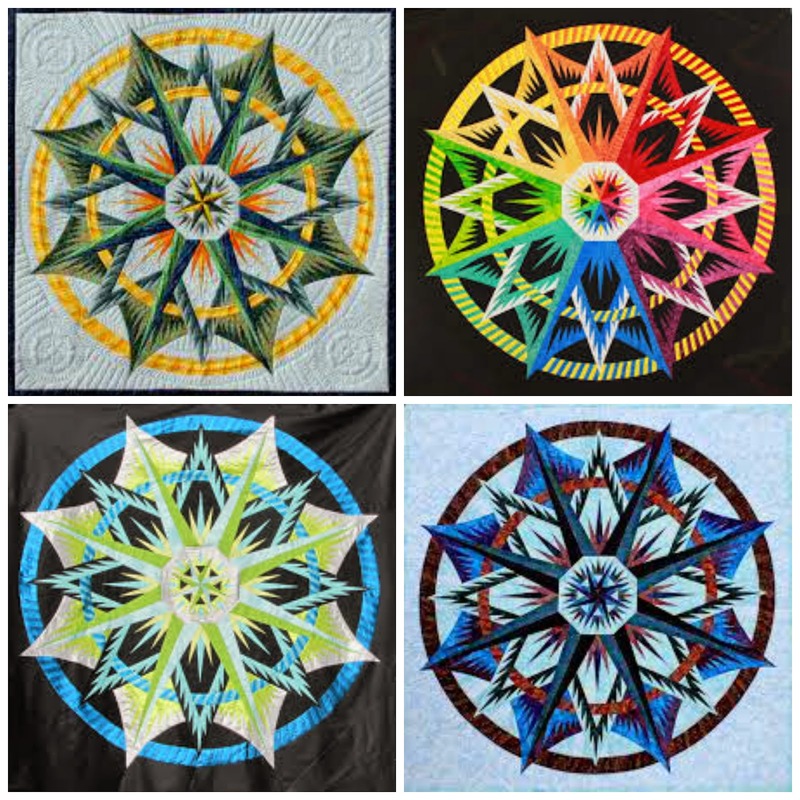 They are awesome quilts - would scare me witless. I know my limitations and I would not have the perseverance to complete it, even though I might have the skill. As for LQS not many around here, so I often have to travel to Sydney, but I generally go to different ones for different things. Logans Patchwork in Leichhardt has a fabulous range of novelty & Australiana fabrics. Quiltsmith in Annandale is THE place for both Civil War & 1930s Reproduction fabrics, and an awesome range of Japanese fabrics. Patchwork Products in Rydalmere has an enormous range of good quality discounted fabrics, so I often go there first if I am starting a new quilt. Craft Depot at Pennant Hills does amazing sales where they discount everything, and carry a really large range of different fabrics. So there you go. They are all inspiring in their different ways. another fabulous project.. they are all so different and gorgeous .. hard to choose...maybe you will need to make a few of them ???? 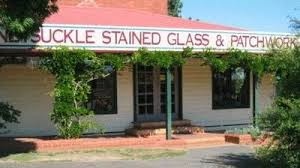 Nicky's shop will definitely have to on my list of places to see IF I ever do a trip round Aussie again..
Not only Patchwork but also leadlight...WOW!! Top left. Thanks for sharing. Some how I think you might be my enabler rather than helper, lol. Lucky I live so far away! 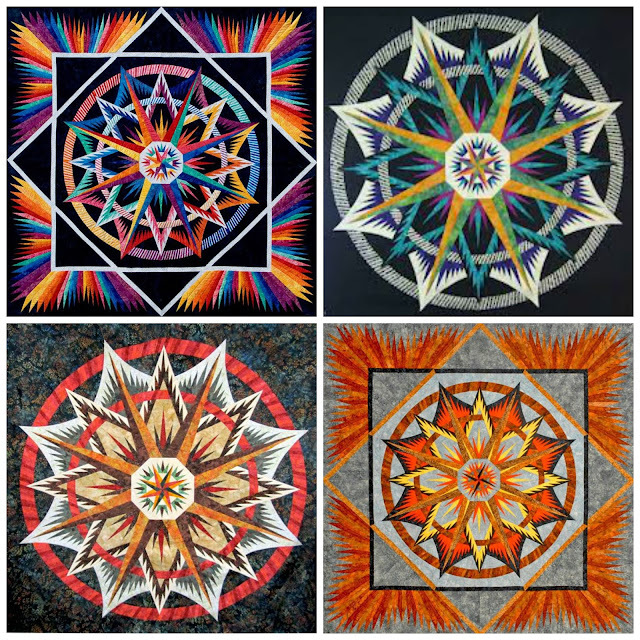 Top right rainbow one appeals to me...your finished quilt is amazing Sharon! 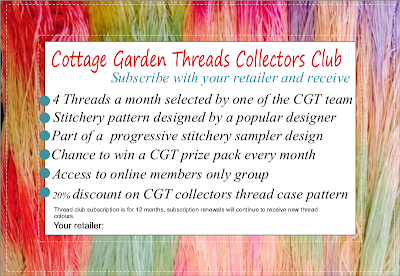 Threads are tempting!! 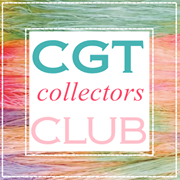 The CGT club is so tempting !! but can it be international ? ?